John Morris Scientific is proud to present the new YSI “Automatic Vertical Profiling System” for fully automatic profiling of rivers, estuaries, lakes, dams and storages. This unique system saves time and money by producing more valuable profiling data whilst reducing the number of site visits and by reducing exposure to OH&S hazards in the field. The Profiling System enables a YSI multiparameter, water quality sonde to measure parameters such as Temperature, Salinity, DO, pH, Turbidity, Chlorophyll and Blue Green Algae throughout an entire vertical column. Water Quality Profiling Systems are available for fixed site applications such as bridge or water intake towers and for floating applications such as buoy or pontoon mounting in estuaries, lakes, and coastal applications. 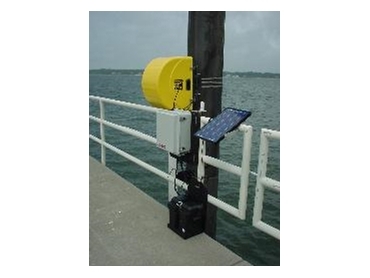 The heart of the Water Quality Profiling System is a marine winch and corrosion resistant, precision drive assembly that accurately parks the YSI sonde at specific depths and allows for measurement of the desired water quality parameters. Data can be stored for manual downloads, or can be retrieved in real time by cellular or radio telemetry systems.